Ask yourself this question: would you do something that would cause other people to make fun of you if it meant that you were helping others? Some of us wouldn’t want to put up with the ridicule and rude comments from other people, even if it meant something good would happen in the long run. Thankfully though–there are people like Morgan on this planet who wouldn’t think twice about it. Morgan is a 12-year-old boy from West Jordan, Utah and he’s making national headlines for his incredible act of kindness, generosity, and compassion. Like most kids his age, Morgan likes to play video games, hang out with his friends, and spend time on the computer but there’s one thing that sets him apart from others–his hair. The fact that Morgan is a boy with impressively long hair isn’t anything surprising, but it’s the reason why he has long hair that makes him very unique and special. Morgan has been growing his hair long so that one day he’d be able to cut it and donate it to kids who need it–kids who have lost their hair due to medical conditions and treatments. Even though Morgan’s reasoning behind growing his hair is awe-inspiring, he has not gone without ridicule and teasing from other kids. 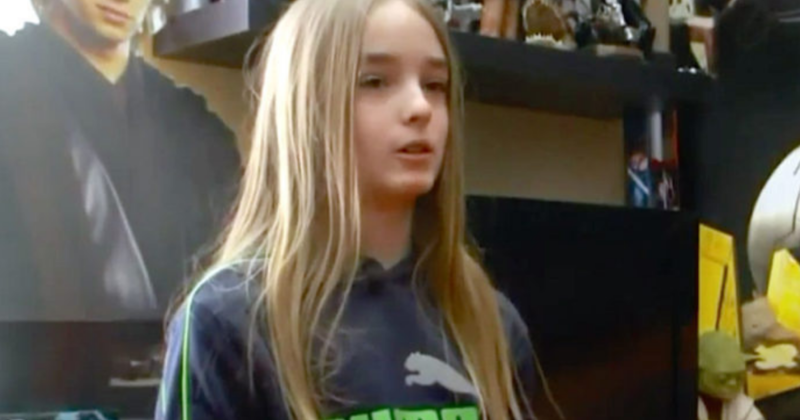 Morgan isn’t only teased and bullied for his long hair, but he sometimes even gets mistaken for a girl. Despite all the negative comments, Morgan pushes through and always thinks of the bigger picture and his reason for doing it in the first place. This way of thinking is so very impressive for a young boy his age. What’s even more impressive is that this isn’t the first time Morgan has grown his hair out for a good cause. 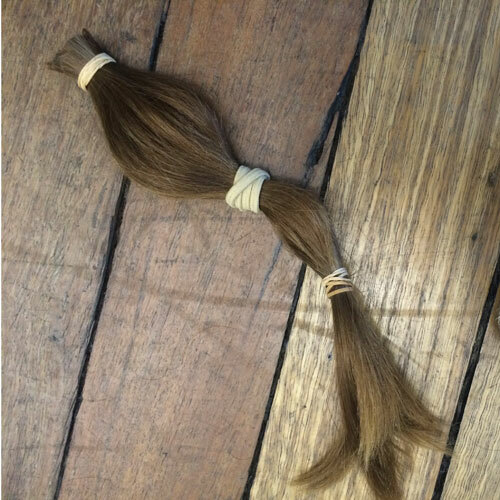 Around four years ago, Morgan started to grow his hair out and two years later, he donated it for the first time. He wanted to do so because he too has had medical issues in the past. “I was born earlier than I was supposed to [be],” Morgan said. His mom explaining that he was born at 27 weeks. Being born so prematurely, the doctors–and even his parents–didn’t think that Morgan would survive. It was an extremely difficult and traumatic time for his mom and dad. Thankfully, Morgan not only survived–but thrived. And he’s one of the most compassionate and caring kids we’ve ever seen. Two more years later, it was time for Morgan to get his second haircut for a wonderful cause. The hairdresser sectioned his hair into small ponytails and gave them a snip–it would all go to kids that need it more than him, a foundation called Wigs for Kids. Morgan was excited to donate his hair to other children and is also happy to have short hair again so people would stop confusing him for a girl. However, this hasn’t deterred him from wanting to grow his hair out for a third time. We admire Morgan and his immense generosity. It’s wonderful to know that there are kids out there that think the way he does. Thanks for being such an awesome young man, Morgan! Watch Morgan’s story below and hear more about his reasons behind his actions.